Although I think it is 100% natural to feel guilt during your grieving process, it is my honest hope that by sharing all the ways that I personally felt guilty, that someone else is able to move on from this feeling a little quicker. 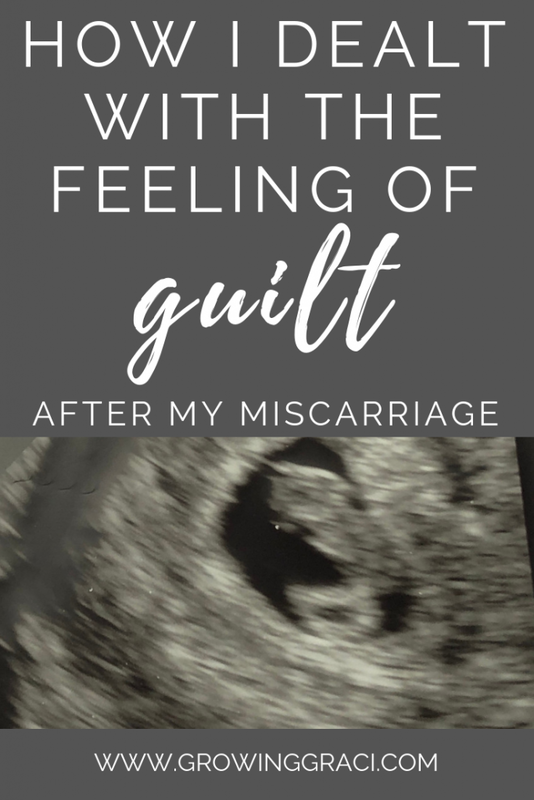 One of the biggest sources of guilt that I felt following my miscarriage revolved around what I thought I should be feeling. I looked to family members, friends and social media to tell me how I was supposed to be reacting to losing my baby. When I started grieving during our miscarriage, I kept thinking how I shouldn’t be so sad. The first few days after we found out that our baby had lost its heartbeat were soul-crushing. I’d be doing something completely normal, and then the emotional pain would come crashing in like a wave and I’d start to sob. It could be something super weird, like showering and wondering if the water was too hot on my belly, then suddenly realizing it didn’t matter anymore. Or bending over to pick the baby up and wondering if I should bend that way, then realizing it didn’t matter anymore. But I didn’t feel like I was supposed to be this sad. Our baby was only 8 weeks along when it lost its heartbeat. I wasn’t even past the first trimester! Other people have a loss much further along. Some women have to birth a baby that will never take a breath. Surely, my loss wasn’t that bad. Was it really appropriate to be so sad when other people have faced multiple miscarriages or worse? And, after I started to feel like the days were getting a little less painful, it was like a switch flipped and I started to worry that I wasn’t sad enough. Shouldn’t I still be crying everyday? How is it that I’m able to appreciate anything else in my life right now? I literally beat myself up on the daily for doing okay. And both versions of this guilt came about when I compared my emotional well-being with other people – whether through social media or in my personal life. But here’s the thing – you shouldn’t be comparing your journey through grief with anyone else’s. Every person, story or loss is different. So no journey through grief is going to look the same. Do yourself a favor and stop the comparison. Holy moly. When it comes to things for a woman to feel guilty about post-miscarriage, this is the big one. 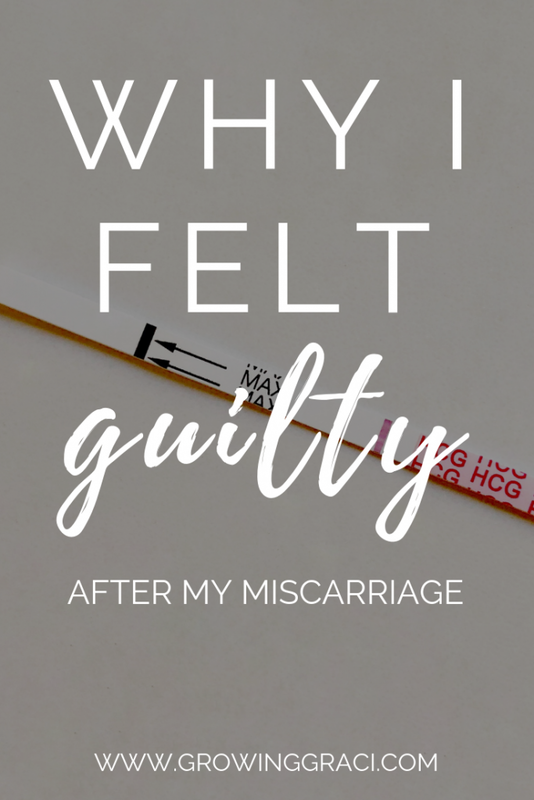 It’s super hard to get over this feeling of guilt, but what I found that helped me the most was 1) discussing it with my doctor and 2) telling my husband about my feeling of guilt. While you may never know what caused your miscarriage, your doctor can outline the potential causes and discuss a plan for any future pregnancies. 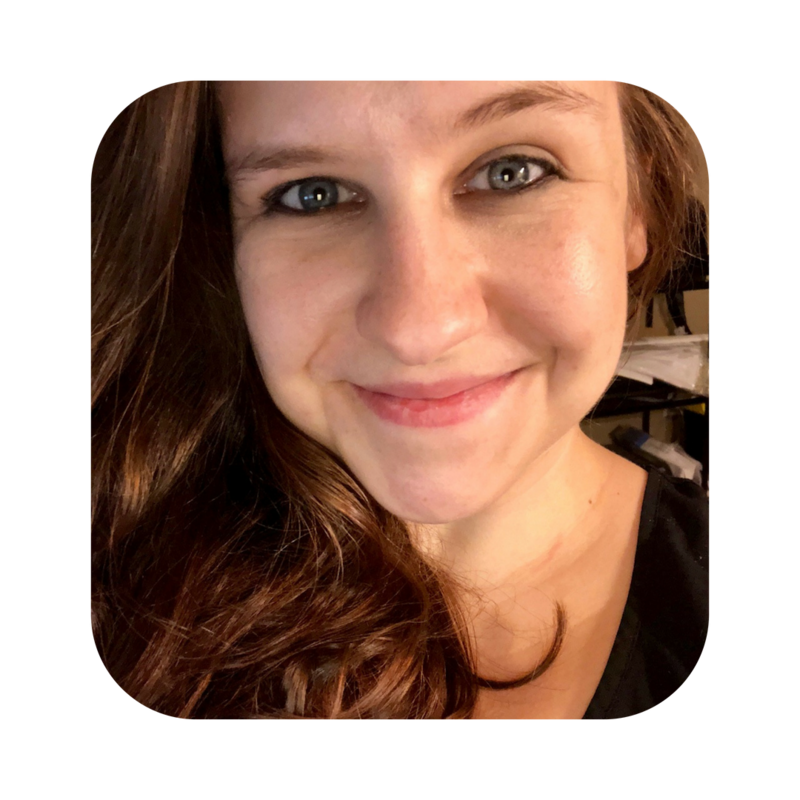 As far as talking to my husband, it really helped to let him know how I was feeling like my body had let me down and that I felt responsible for losing our baby. He was super reassuring that in his eyes, there was no blame to be placed on me. Something super important to note: Do not go on Google looking for potential causes. Talk to your doctor about what might have happened and leave it at that. Speculation through your own research will only lead to pain. From the very beginning of our miscarriage journey, I felt strongly that I wasn’t alone in my mourning. My husband was in it right along with me. 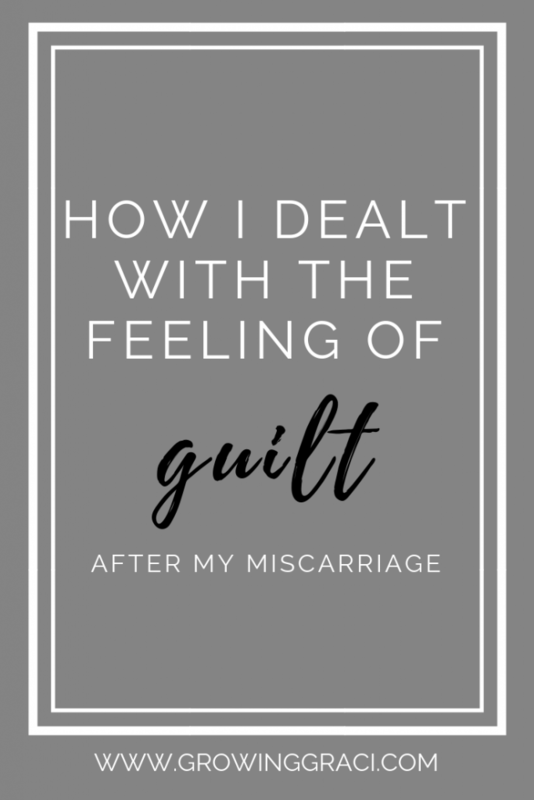 Another source of guilt that I felt following my miscarriage was based around the idea that I was taking too much of the attention on myself, and not leaving him with enough room to mourn himself. I needed to be strong enough to support him as he grieved, too. In the end, I’m not 100% sure whether I did a good job of caring for my husband as he dealt with his grief. However, I worked really hard to keep our lines of communication open and made sure to ask him how he was feeling without any attached judgment. I’m no expert, but I think that trying to talk about our pain (without it being a competition) really helped us through the incredibly rough time following our loss. Our miscarriage happened during our second pregnancy. I found out I was pregnant shortly before our daughter, Graci, turned 18 months old. During Graci’s pregnancy, there’d been no real complications, and I rationalized that this pregnancy would be the same, despite having some bad feelings I was trying ignore. Between the hustle and bustle of toddler life (and having our step-daughter), I never really slowed down to revel in the pregnancy. I don’t think that I ever took a moment to talk to the baby or really bond. And this knowledge has been so crushing. If I had known the baby would leave us at 8 weeks gestational age, I would have slowed down. I would have talked to the baby (even though I’m sure it wouldn’t have known the difference) and stopped putting off the bonding until later. I was so sure that I was going to have a healthy baby like Graci at the end of this pregnancy that I took it for granted. If we get pregnant again, I’m going to be taking every chance to bond with my little one from the very moment I know they’re in my tummy in case I never get to meet them. I will also try and keep the fear of losing another baby from stealing the joy of a new pregnancy. My husband and I decided to share our pregnancy news with baby #2 pretty much as soon as we knew. We didn’t post it on social media right away, but people in our personal lives knew right away. Remember how I rationalized nothing would happen to my baby above? Well the same rationalization lead us to feeling pretty safe in telling people we were expecting. We also had to make the dreaded phone calls to family and post a sad update on our social media (including the Growing Graci Instagram account). I felt so bad. I felt like a drama queen looking for attention. I looked for attention sharing early, and I was looking for attention by sharing our miscarriage story. Or at least that is how I felt. But when I shared my story on the Growing Graci Instagram account, I had so many people tell me that they thought I was brave for sharing. (I certainly didn’t feel brave.) I had people actually thank me for sharing my story so that others wouldn’t feel alone. I never wanted my story to involve miscarriage. No one does. But it is my story now. And, if sharing it with others brings anyone a little comfort, then that makes it all a little less horrible. I have to say, my body was the cause of at least 2 of my 4 losses. One of the others was due to a migraine medication in my system. So I understand the guilt. But in the end, my most recent loss was 20 yrs ago, I have learned to trust the Lord with my life. I don’t always need what I want. Even if what I want is a precious wonderful thing.